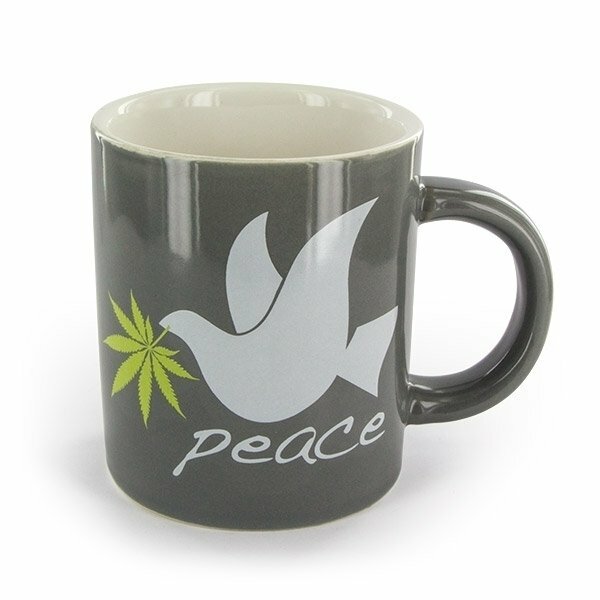 We are pretty sure many of you enjoy a mug of tea or coffee as a starter for the day. 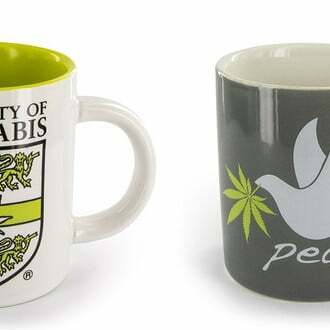 We have 2 different mugs on offer. 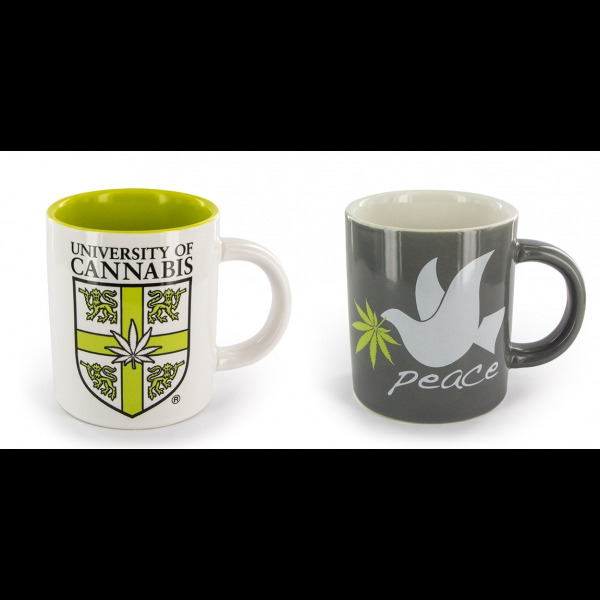 One white on the outside, green on the inside, adorned with a scutcheon of the "University of Cannabis", the other one dark grey on the outside, ecru on the inside, with a white peace dove with a MJ leaf in its beak and the lettering "Peace" on it.